Reluctant to create an online marketing campaign because you think it will be too time consuming or expensive? Actually a planned, organized online marketing campaign with rotation through a variety of targeted sites is not hard to coordinate, does not need to cost a great deal of money and can generate traffic and sales faster than Search Engine Optimization (SEO). It takes a bit of research and a solid knowledge of your target customer, but you can plan and implement a simple online marketing plan in the space of a dedicated day. A five step online marketing plan follows. By doing the action following each step, you will quickly create an online marketing plan that can be implemented immediately and begin reaping sales successes. If you already have defined your ideal customer in your business plan, you can skip ahead to Step 2. Answer these questions as honestly as you can. In other words, don't project your expectations or hopes on them. What is your perfect, solid customer really like? What is the job profile of my perfect customer - an executive, manager, worker, entrepreneur, stay-at-home parent, etc. How do my perfect customers use my product/service - do they buy it for themselves or as a gift? Once you have answered all these questions, you should have a good picture of where to start looking to place your message and how to write your message copy. Now, where are you going to post your ads? A coordinated effort across several sites and venues commonly frequented by your customers is the most effective marketing campaign. If you are seen in several places your visibility and retained message is much stronger. Pay-Per-Click (PPC) advertising is another consideration for your marketing campaign. If you're new to PPC, stick to places that allow you to set limits on daily expenditures. Google AdWords is a good example. This will also help you to experiment and determine the most effective keywords by paying close attention to the statistics of the PPC campaign. Are there many competitors of yours already advertising there? For more on choosing the best social media platforms to advertise your products and/or services, see How to Create a Social Media Plan. Conversion rates are an important measuring tool. What exactly do you want to measure to determine the success of your marketing campaign. Is it sales orders? Newsletter subscribers? Downloads of your free e-book? Close monitoring of your conversion rates will quickly tell you what's working and what is not. Don't hesitate to tweak or modify your ads if needed. This is a process in constant motion until you find the best fit. Remember too, an ad may work superbly in one place but not in another. Create a spreadsheet or document listing all the sites and venues that are a consideration in your online marketing campaign. While some think this should be the first step, realistically you can better create the budget for your online marketing campaign when you have a good idea of the costs involved. That can only be done once you've figured out your targets. You probably already have a figure in mind of how much you can really spend, so go back to your marketing campaign sheet and total the costs of all the ad spots you'd like to do. Chances are that total will exceed your overall spending limit. Now go through that list and prioritize the ads in terms of where you think you'll get the most exposure and results that fit within your budget. Move the others into a holding list. Remember, as the ads start to pull in results you can always go back and expand your campaign from that holding list. Don't forget to consider ad swaps and bartering as part of your payment and marketing budget. Many sites will swap newsletter ads or banner ads for similar placement on your site if you have one. (And if you don't, why don't you? Every small business needs a website.) It never hurts to ask. Next ask yourself, "What am I selling"? It's rarely the product or service. You are selling a benefit, something that registers at the emotional level. If you are selling fishing rods, for example, you're selling the excitement of successfully landing that monster in the lake. If you are selling cosmetics, you're selling beauty. The most successful ads use words that relate to the customer. Use the words "you" and "yours" and never put the focus on "me", "mine", "our", "my" or "we". Create several emotional words associated with the product - fun, comforting, relaxing, stimulating, addictive - and use at least one of them in the ad. Coupons are also an effective marketing tool. They can be easily tracked either manually or by an automated shopping cart system. Use different codes for different advertising locations and you'll quickly see which ones get the best attention. Create a text ad for each item in your internet marketing campaign, making sure to hit at least one to three prime keywords in the text. Text ads typically run 60 characters wide by three, five, seven or 10 lines long. Once you have your text ads, go through your banner inventory. Do you need to update them with a holiday specific message? Does every image have an appropriate ALT tag? Is the graphic properly optimized for size (under 20-50kb) and resolution (72dpi)? If you are creating ads for social media platforms, choose or create appropriate photos and make sure that each fits the requirements for the social media platform where it's going to be placed. Tracking and reacting to your campaign's successes is critical in maintaining an effective marketing campaign. From your website stats to PPC stats, there are many ways to determine what is working and what isn't. By paying attention you'll learn volumes about your ads and how to hone them for best results. There are advertising management services that help you to track ad performance, such as Google's DFP Small Business, a free service that is relatively easy to implement and gives powerful ad tracking management and support. Some venues, such as Facebook ads, provide their own reports. On a daily basis for the first two weeks, review the results of your various ads. Write them up in your tracking sheet and look for any trends or patterns. Which ones are performing, where and why? If some aren't working, replace them with others that are or try another from your hold list. Once you settle into a pattern of review and ad management you'll know better how often you need to monitor your marketing efforts. 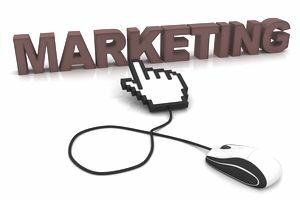 Successful online marketing campaigns are within the reach of any business, no matter what your budget. By following the five basic steps above and committing to the follow-through, you can create a cost effective campaign with a substantial return on investment.